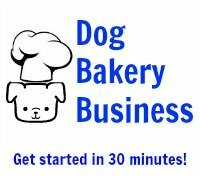 Apple cinnamon dog treat recipes use a hint of cinnamon for a robust flavor and savory aroma. 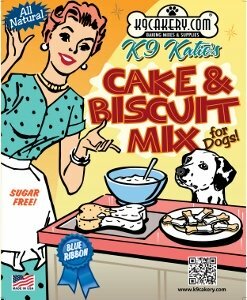 All natural ingredients in the recipe contained here make these dog cupcakes very healthy dog treats. Your kitchen will smell like apple pie. Although we use Granny Smith apples that have a tart taste and are a good complement, you can use any kind of apples you desire. Grease the cupcake wells of the cupcake pan. Fold in the apple and cinnamon until well mixed. Pour the mix into the silicone pan. Let the cupcakes cool before removing from the pan. Top off the dog cupcakes with dog cake frosting according to the directions. If you want to color it, add your icing color in, then stir until smooth and creamy. Frost the apple dog treats. For the cinnamon, use regular baking cinnamon that you would use when making cookies for yourself. Cinnamon is a wonderful added flavoring that will appeal to the taste buds and sense of smell of your pet. Human grade ingredients are used so you may find you are helping yourself to some of the goodies!